There are a quartet of films in the works re-telling the life and times of Robin Hood, the outlaw hero of Sherwood Forest. The Lionsgate version, Robin Hood: Origins, has recently pulled its proverbial arrow from the quiver and set its sights on a shortlist of actors to portray the archer. All of these actors have their strengths, Egerton wowed audiences everywhere this year with his showing in Kingsman: The Secret Service. Reynor showed some potential in last year’s Tranformers: Age of Extinction, but was otherwise forgettable. Hoult has a pretty good resume with action films, having been center stage for the last few films in the X-Men franchise as well as almost stealing the show in Mad Max: Fury Road. Huston has shown more of a quiet rage with his seasons of experience on Boardwalk Empire. O’Brien may be the odd man out if his filming of the third Maze Runner film conflicts with this one. The Lionsgate version, which is set to be directed by Otto Hathurst and written by Joby Harold, will see the legend as a soldier returning from the Crusades. When he gets back to his beloved Sherwood Forest, he finds it overrun with corruption and evil. Robin Hood takes it upon himself to gather a band of outlaws and become the hero the people need. As stated before, there are three other studios with three other films in the works about the same character. Disney has Nottingham & Hood, a Pirates of the Caribbean-style film. Sony will be doing Hood, which will start a Marvel-esque shared universe. 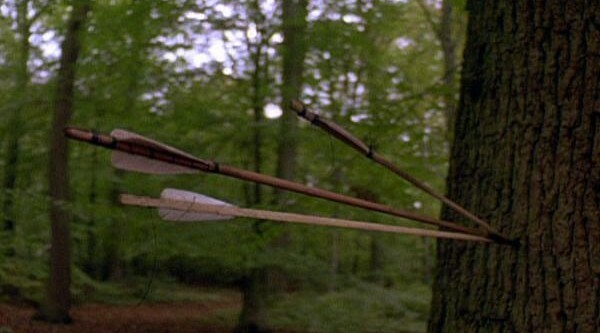 And finally Warner Bros has an untitled Robin Hood picture in the works. Lionsgate hasn’t set a release date, but is rumored to be eyeing an early 2016 start date for production. This entry was posted in Breaking News, Film and tagged Dylan O’Brien, Jack Huston, Jack Reynor, Joby Harold, Nicholas Hoult, Otto Hathurst, Robin Hood: Origins, Taron Egerton. Bookmark the permalink.